Senna tea is all the rage in the holistic community along with those of us who would prefer not to engage in rigorous exercise and calorie counting. It is being marketed as the best tea for weight loss. Senna tea works as a natural laxative, and like all other laxatives for weight loss, this one is a big no-no if you are pro-healthy weight loss. Abusing laxatives for weight loss, including senna tea weight loss beverages has two problems. The first is that it simply does not work; it is not a ‘miracle weight loss pill’. Your body has already absorbed its calories well before they reach that particular outlet. 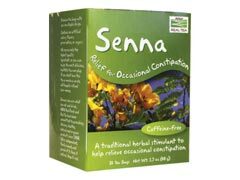 Senna laxatives therefore will do little to help you shed pounds, but will likely allow you to get better acquainted with your toilet. Senna tea weight loss plans have another catch, potentially hazardous side effects that are associated with overuse of any laxative, natural or otherwise. Abdominal cramping and dehydration are common side effects of senna tea weight loss plans, and unavoidable if you choose to go with this herbal tea weight loss solution. While the frequent trips to the bathroom are bothersome, they can become infuriating once you realize that any weight you are losing is just in the form of water much like a diuretic. If you are convinced that tea drinking is your highway to a bikini, consider matcha green tea or any other green tea product. They contain caffeine for extra energy and although the weight loss benefits are still unproven, they’re likely to be more effective than spending your day in a restroom. Although, one could argue that spending the day in the toilet will prevent you from having the time to overeat. Overall, senna tea weight loss solutions are as effective as drinking any other hot beverage, with the exception that this one gives you diarrhea. Perhaps a cup of hot cocoa is more soothing. Remember to discuss any and all weight loss plans with your doctor. He or she will be able to help you develop a diet and exercise plan that will actually work to trim your waistline and provide you with greater overall health. Remember that herbal supplements and holistic remedies often have side effects that rival their pharma cousins, and it’s important to discuss any of these that you are taking with your health care provider as well before you try them.